Description The Drinkwell® 360 pre-filter traps any large particles, hair, and debris in the water before they reach the pump, providing better overall filtration and cleaner water for your pet. 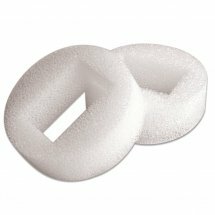 These foam filters help keep the pump cleaner in between cleanings and maintain the fountain's flow rate.. 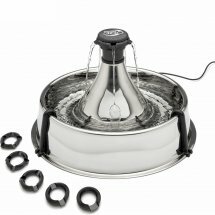 Developed by a veterinarian, the Drinkwell® 360 Stainless Steel Pet Fountain provides 3.8 litres of fresh, filtered water to your pet. Multiple free-falling streams of water entice your pet to drink more and continually aerate the water with healthful oxygen. A charcoal filter removes bad tastes and.. Description Developed by a veterinarian, the Drinkwell® Big Dog Pet Fountain provides your pet 8.5 litres of fresh, filtered water. The patented free-falling stream of water entices your pet to drink more and continually aerates the water with healthful oxygen. The charcoal filter removes bad tas.. Description The Ceramic Avalon Fountain continuously recirculates and filters your pet’s water, keeping it cleaner and fresher than a normal water bowl. The Avalon fountain offers 2 litres of fresh, filtered water in a ceramic design that is easy to clean and looks great in your home. The upper a.. Description Encourage your pet to drink more water with the new Drinkwell® Current Pet Fountain. 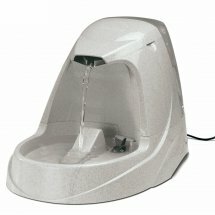 The Current Pet Fountain is an affordable way to provide your pet with a constant source of fresh, filtered water. The submersible pump constantly circulates the water through the bowl, keeping the wate.. 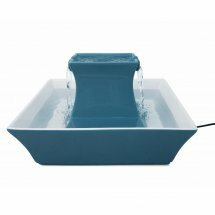 Description The Drinkwell® Mini Fountain uses the same innovative watering system as the Original Pet Fountain, featuring the patented free-falling stream of water that consumers have come to rely on for cats and small dogs for the past decade. The included charcoal filter also helps to remove bad .. 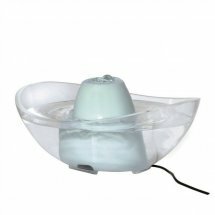 Description The Drinkwell® Original Pet Fountain uses an innovative watering system featuring a patented free-falling stream of water and holds 1.5 litres of water. The free-falling stream entices pet's to drink more water because it draws more oxygen into the water and constantly breaks the surfac.. 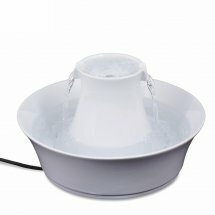 Description The Drinkwell® Ceramic Pagoda Pet Fountain continuously circulates and filters your pet’s water. 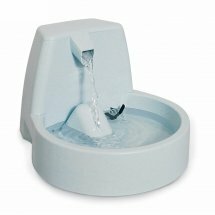 The Pagoda Pet Fountain offers 2 litres of fresh, filtered water. The ceramic design is easy to clean. 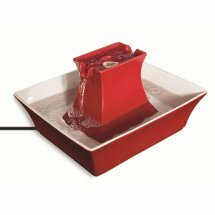 The dual free-falling streams aerate the water for freshness and encourage pets to drin.. Description The Drinkwell® Platinum Pet Fountain is the ultimate in style and design. This all new design utilizes the same patented free-falling stream of water as the original Drinkwell® which entices pets to drink more, keeping them happy, healthy, and hydrated. The Platinum features a new snap .. 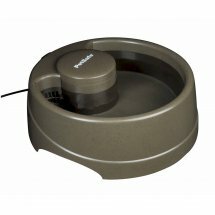 Description The Drinkwell® Sedona Pet Fountain continuously circulates and filters your pet’s water. The Sedona Pet Fountain offers 3 litres of fresh, filtered water, and the bowl and ceramic tower design minimizes spills and splashes. It also provides a large drinking area for pets with large or f.. Description Drinkwell Replacement Charcoal Filters keep your pet's water tasting clean and fresh. 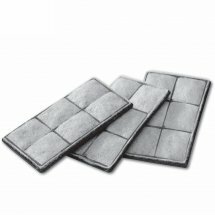 Each filter features a duo-density polyester pad that catches hair and debris, while the charcoal removes bad tastes and odors from the water making it more appealing to drink. Filters help extend t.. Description The Drinkwell® Replacement Foam Pre-Filters trap any large debris and hair in the water, before they reach the pump, providing cleaner water to your pet. These foam filters help keep the pump cleaner in between cleanings and maintain the fountain's flow rate. These filters are sold in.. Description The Drinkwell® 360 Replacement Filters keep water clean & fresh and are designed to fit Drinkwell® 360 Fountains. 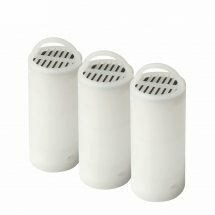 The cylindrical filter features a pull-tab for easy placement and removal. The filter contains granulated carbon for extended filtration and the duo density polyester .. 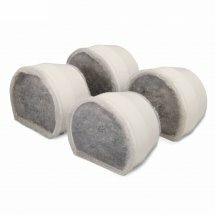 Description This pack of 4 replacement charcoal filters are for the Drinkwell® Avalon Ceramic Pet Water Fountains. Drinkwell® Replacement Charcoal Filters keep your pet's water tasting clean and fresh. 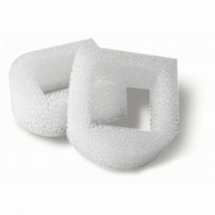 Each filter features a duo-density polyester pad that catches hair and debris, while the charco.. 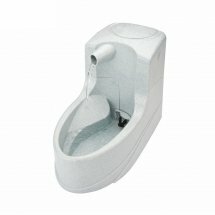 Description A convenient and easy way to keep the Drinkwell® fountains clean. Compatible with all Drinkwell® fountains. 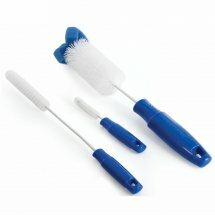 This 3-brush set is great for cleaning the fountain and cavity of the pump. Brush set includes 3 tools: 32 cm length, 5 cm head brush 31 cm length, 2 cm head brush 14.. 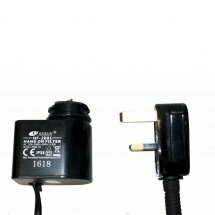 Description Replacement pump for the Drinkwell Big Dog Fountain with UK. adaptor. This pump has a 90-day warranty. Features Compatible with Drinkwell Big Dog Fountain System Includes 1 pump 1 adaptor .. 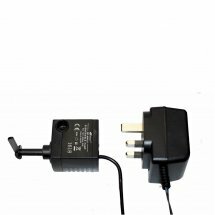 Description Replacement pump for the Drinkwell Mini Fountain with UK three pin adaptor. This pump has a 90-day warranty. 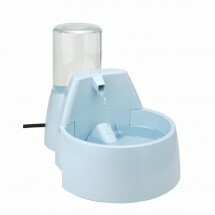 Features Compatible with Drinkwell Mini Fountain System Includes 1 pump 1 adaptor ..